The learning space and problem. My Learning Space is a Science laboratory, originally a standard classroom converted, that I spend most my time teaching in. The constraints of the lab include the fact that it is small and that the chairs and tables must be confined to the carpeted area. I have considered changing the tables from being in rows but gave up due to the space limit issue. This has meant group work is difficult to conduct as the benches are too small for that purpose. Below are photos showing how my lab looked before changing it. Why the space might benefit from some thinking on its design. The practice of education has changed from instruction to learning and knowledge to thinking resulting in a move to student centred approaches from teacher centred ones. However the standard teaching model of 30 students in a room with a teacher out front has not changed (Harrison & Hutton) and a room structure as pictured above perpetuates this reality. 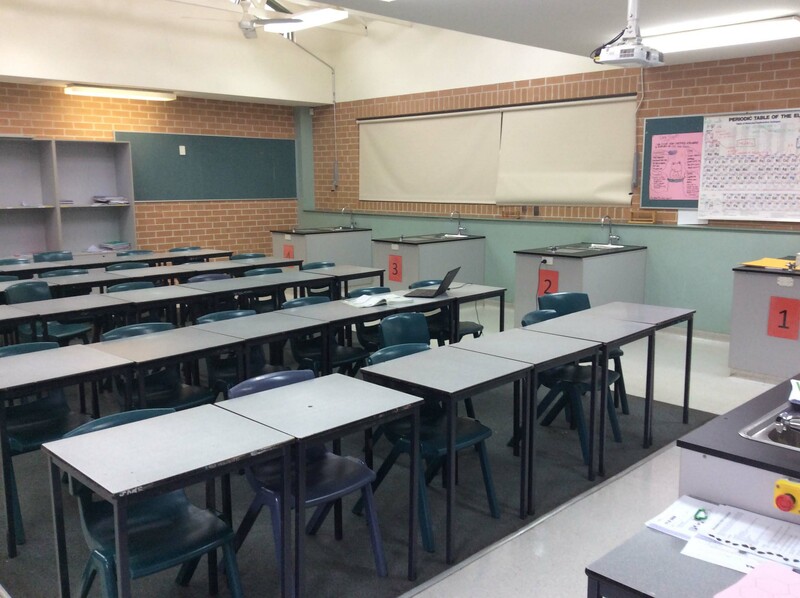 The motivation to change the desk configuration from the one above to that pictured below was to move from a teacher centred to a student centred pedagogy. 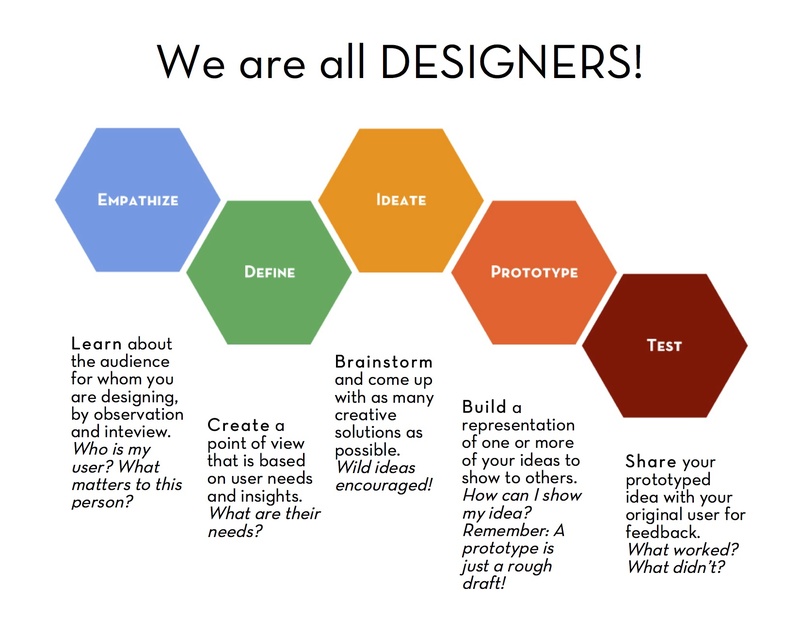 Design thinking, being ‘…an innovative, human centred approach to defining and solving complex problems…that encompasses active problem solving and believing in one’s ability to create impactful change.” (Carroll p.15, 16. 2014), is required as it focuses on people NOT buildings or things. Paramount to the design thinker is the ability to empathise with the user, in my case the students, and to take action by ‘prototyping’, in this case by changing the learning space and seeing the result. Taking action is an important process as it is then that the design thinker can reflect upon actions and processes – reflexivity (Seidel & Fixson). Artefacts result from action taken which can be in the form of a product, service, process, or business model (Kuratako). Design thinking provides a non-linear creative thinking process resulting in solutions to problems (Razzouk & Shute) that have no definitive conditions – wicked problems (Buchanan). The space might benefit using such a process to solve the problem of changing a pedagogical practice in a space that has physical limitations. Here is a great example of design thinking focusing on improving the students and teacher’s classroom experience. Already outlined is the fact that I have changed my classroom from row configuration to group configuration. Having done this I have had one class of my own in this room and a colleague has a double lesson in the room as well. I got some feedback from my colleague and she said that the setup did not help her class due to some of the ‘difficult’ students being able to see other students causing distraction. I found with my own class that it certainly was not a magic bullet for some of students focus on task. However what I have in mind is that such a set up may require the teacher to do more group work and be less teacher centred for it to work as the pedagogy inherent in such a physical setup is just that. The idea of doing away with rows was not only to do with moving from a teacher centred to a student centred approach but to also help with classroom management. Rows increase time for students to get to desks lengthening settling time and also makes it harder for teacher to get around class room (Rogers). 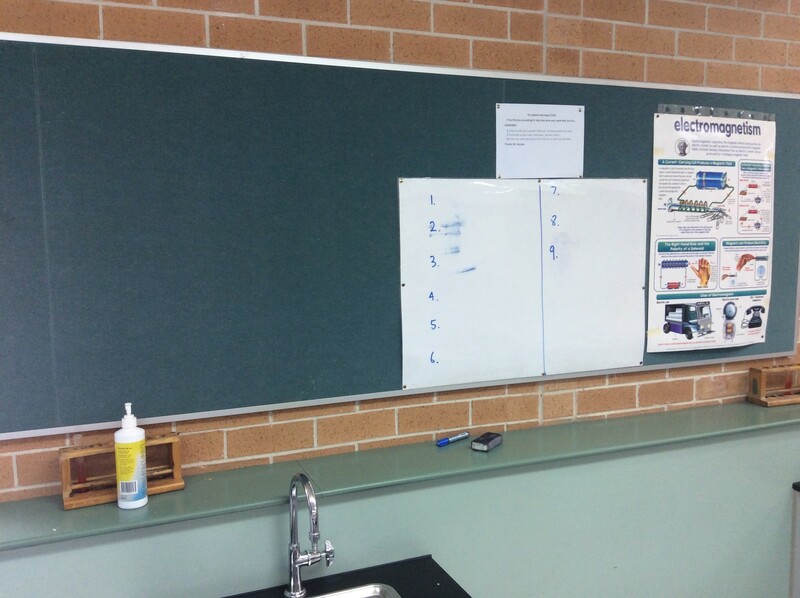 I also added a ‘Teacher Help Board’ (THB) to increase the efficiency of me helping students when they need help. Rogers, B. (2006). Cracking the hard class: Strategies for managing the harder than average class (2nd ed.). London: Paul Chapman Pub. 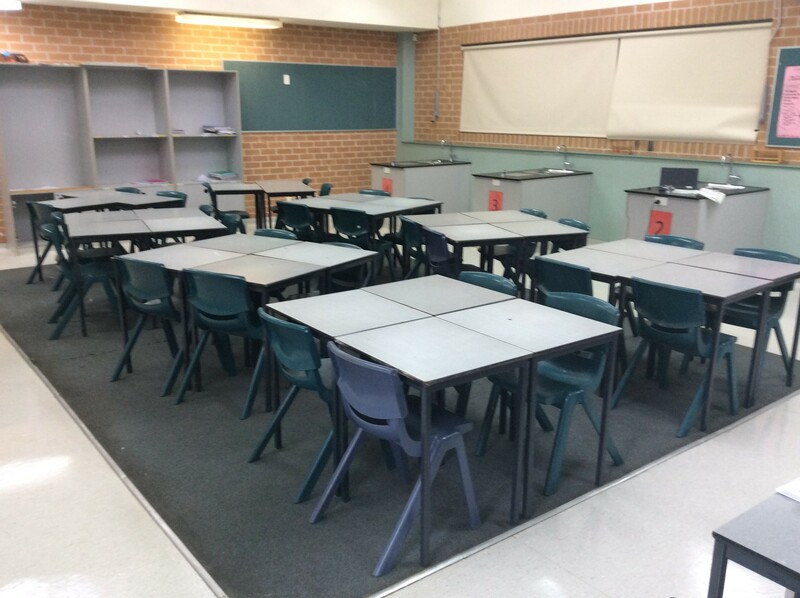 Remake Your Class Part 1: Planning for a Collaborative Learning Environment. (n.d.). Retrieved July 22, 2015.